عندما تزور أديليد, ستشعر أنك في بيتك في Backpack Oz Hostel الذي يقدم لك إقامة متميزة و خدمات عظيمة. يمكن من هنا للضيوف الاستمتاع بسهولة الوصول إلى كل ما تقدمه هذه المدينة النابضة بالحياة. يوفر الفندق بفضل موقعة الجيد وصولاً سهلاً إلى أهم معالم المدينة.
. كما يقدم Backpack Oz Hostel الكثير من الخدمات لإغناء رحلتك في أديليد. إن واي فاي مجاني في جميع الغرف, تخزين الأمتعة, واي فاي في المناطق العامة, غرفة عائلية, جرائد هي جزء فقط من الخدمات التي تميز Backpack Oz Hostel عن باقي الفنادق في المدينة. يمكن للنزلاء الاختيار من ضمن مجموعة من الغرف المصممة بعناية لتعكس جواً من الراحة، والتي يتجاوز عددها 13. يقدم الفندق العديد من الفرص للاستجمام كمثل بلياردو. إن Backpack Oz Hostel هو خيارك لخدمة الفنادق الراقية في أديليد. يسمح للنزلاء الذين تتراوح أعمارهم بين 18 و 35 سنة فقط بالإقامة في المهاجع. يفتح مكتب الاستقبال من الساعة 06:00 صباحًا إلى 10:00 مساءً بدءًا من 1 سبتمبر 2018. We just stayed one night and choose this for the location. Booked a double room which was barebones - just the beds and nothing else. Particularly annoying was lack of a plug socket so you can't recharge your mobile too. However, people seemed to have fun at the common area so should be ok for backpackers. as is cheap u cannot pretend many things. Basic hostel. great location just meters of town hall. beds and pullows are really bad. and doesnt have enought plugs in the room. it has many toilets but not that clean. There were a lot of people around downstairs, and I'm a curmudgeonly old person (only 32 now!) who likes peace and quiet. If you're younger, I'm sure you would love it. One window in our double room was broken, heating was very loud, for a hostel very clean kitchen, toilets and bathroom. I like this as a good central city option. Transport, shops, restaurants are all easily accessible. The staff are welcoming. The place is 12 minutes to Adelaide bus station and Chinatown. The place is clean. Has a very early free breakfast and check out at 6am so that you could catch any early bus or Tours. Loved it! Free breakfast, free dinner tuesdays, pool billard, bar, clean! Little bit far from airport, but easy to find. I spent only one night however room, kitchen, and other service was fully satisfied. Noisy, avoid if you want to sleep at reasonable hours. It is cheap and everything are acceptable. The staff is friendly in explaining the details. The kitchen is big. The location is very good, around 5 minutes to/from the bus station. Free dinner on Tuesday (didn't try it though, came back too late). Free use of bike. Staff is very friendly and helpful when you need them. 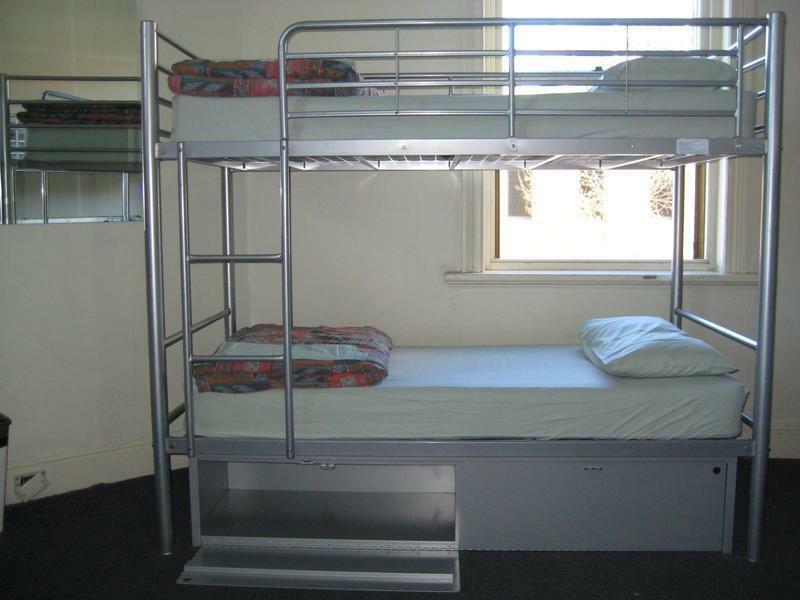 If you're looking for a budget accommodation, this is the place you're looking for. free BBQ night, friendly staffs and nice vibe! I've never stayed a place like this before, the room, kitchen and the public area were always clean. Free BBQ on every Tue was awesome, and the killer pool was nice and fun. Staffs are always friendly as well. Well, a place to call ' HOME' for me in Australia. Well located, quiet, good value for money, clean. Unpleasant because of the dirty environment.